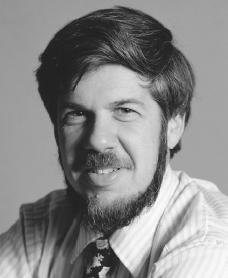 Stretching the Truth: The median isn’t the message by evolutionary biologist Stephen Jay Gould. Image from Wikipedia. My life has recently intersected, in a most personal way, two of Mark Twain’s famous quips. One I shall defer to the end of this essay. The other (sometimes attributed to Disraeli), identifies three species of mendacity, each worse than the one before – lies, lies, and statistics. In July 1982, I learned that I was suffering from abdominal mesothelioma, a rare and serious cancer usually associated with exposure to asbestos. When I revived after surgery, I asked my first question of my doctor and chemotherapist: “What is the best technical literature about mesothelioma?” She replied, with a touch of diplomacy (the only departure she has ever made from direct frankness), that the medical literature contained nothing really worth reading. Of course, trying to keep an intellectual away from literature works about as well as recommending chastity to Homo sapiens, the sexiest primate of all. As soon as I could walk, I made a beeline for Harvard’s Countway medical library and punched mesothelioma into the computer’s bibliographic search program. An hour later, surrounded by the latest literature on abdominal mesothelioma, I realized with a gulp why my doctor had offered that humane advice. The literature couldn’t have been more brutally clear: mesothelioma is incurable, with a median mortality of only eight months after discovery. I sat stunned for about fifteen minutes, then smiled and said to myself: so that’s why they didn’t give me anything to read. Then my mind started to work again, thank goodness. The problem may be briefly stated: What does “median mortality of eight months” signify in our vernacular? I suspect that most people, without training in statistics, would read such a statement as “I will probably be dead in eight months” – the very conclusion that must be avoided, since it isn’t so, and since attitude matters so much. I was not, of course, overjoyed, but I didn’t read the statement in this vernacular way either. My technical training enjoined a different perspective on “eight months median mortality.” The point is a subtle one, but profound – for it embodies the distinctive way of thinking in my own field of evolutionary biology and natural history. When I learned about the eight-month median, my first intellectual reaction was: fine, half the people will live longer; now what are my chances of being in that half. I read for a furious and nervous hour and concluded, with relief: ****ed good. I possessed every one of the characteristics conferring a probability of longer life: I was young; my disease had been recognized in a relatively early stage; I would receive the nation’s best medical treatment; I had the world to live for; I knew how to read the data properly and not despair. The swords of battle are numerous, and none more effective than humor. My death was announced at a meeting of my colleagues in Scotland, and I almost experienced the delicious pleasure of reading my obituary penned by one of my best friends (the so-and-so got suspicious and checked; he too is a statistician, and didn’t expect to find me so far out on the right tail). Still, the incident provided my first good laugh after the diagnosis. Just think, I almost got to repeat Mark Twain’s most famous line of all: the reports of my death are greatly exaggerated. If you like this article and my books then you’ll probably enjoy my podcasts too. Check out my interviews with Frank Ostaseski, Jeremy Siegel, Peter Borish, Roger Ver, and David Burkas.